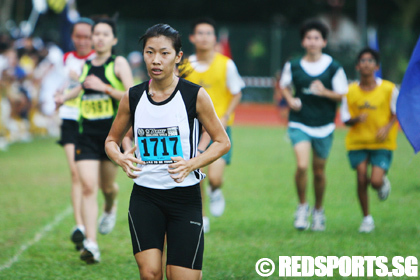 Story contributed by reader Ian Chew. Pictures by Marvin Lowe. Additional pictures and video by reader Ben Wong. Results provided by readers Ben Wong and Soh Rui Yong. 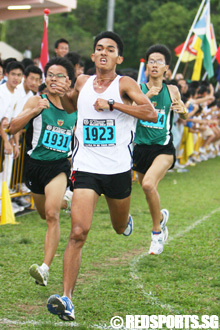 CCAB, Wednesday, April 23, 2008 – The threatening skies failed to douse the the smiles of Victoria supporters as they celebrated their B Division boys team title, edging out defending champions Raffles Institution by two points in the process. With the win, they banished the disappointment of a title-less year in 2007. “We are really proud of our boys performance today,” was Victoria’s teacher-in-charge Ms Sheikha’s jubilant comment on learning that her team had won. The supporters were made to wait anxiously though for the results as heavy showers prevented the prize giving ceremony from taking place. Fortunately, the rains had come after the races were completed. 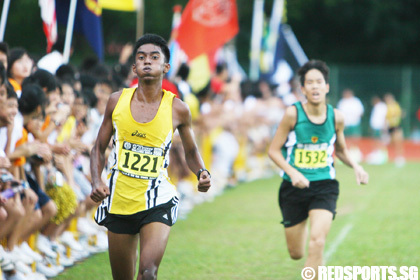 In what should be a great credit to the organisers for an incident-free event with the controversies leading up to the competition, Sports School also emerged winners by clinching the C Division boys title. 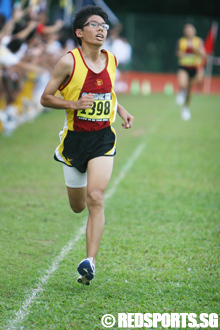 T Haarishankar of the Sports School outpaced the entire field with an incredible time of 14min 39.90 sec, leaving his fellow competitors trailing far in his wake. 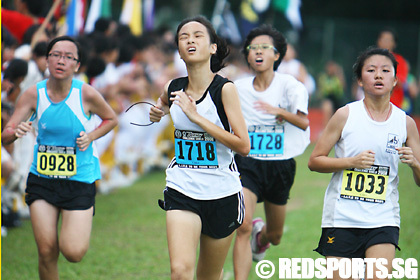 Cedar Girls’ captured the C Division girls title while Methodist Girls School retained their B Division title. 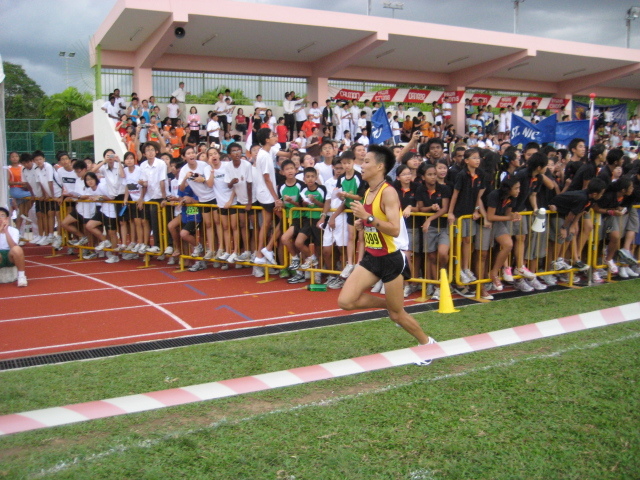 Raffles Junior College and Hwa Chong won the A Division boys’ and girls’ title respectively. 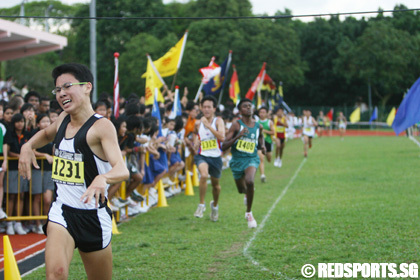 Editor’s note: There are many stories left untold from the Cross-Country Championship. If you have a story to share, feel free to do so and we will post it up. 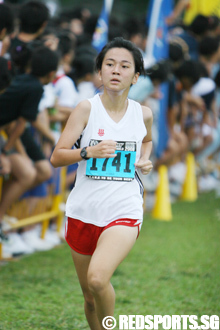 What do you think of the 2008 Cross-Country Championship running route? Dangerous because it has a lot of sharp turns and narrow stretches. I didn't like running with cars nearby because the poor air quality upset my breathing. I like the different scenery along the route. I like the route because it is challenging. The slopes were quite tough. There should not be a flight of steps as part of the route. There was no country. It was just road running with a bit of grass. 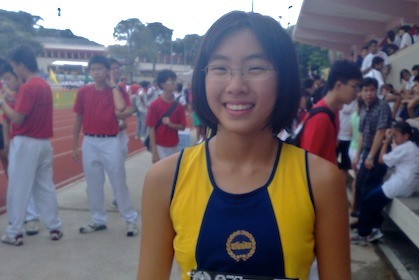 my sister is in the x-country boy…. Top 20 individual results for each category listed above plus top 5 schools for each category too. 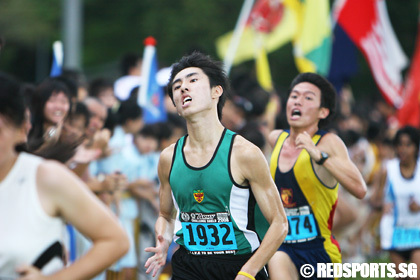 thank you again, for the change in title, on behalf of Vs.
the pic of jon dcruz says he fought the two guys for the third places, i think its the fourth, lee minghui was in front i think. Thanks for the name updates and we changed the title as suggested. If it’s reasonable, as your is, I’m happy to change it. 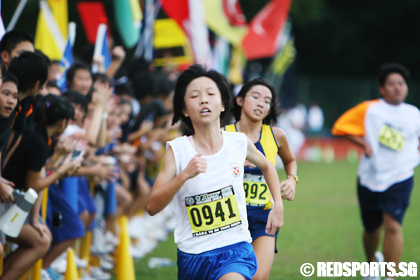 After all, we don’t have complete record for cross-country, only last year’s results. If anyone has the full cross-country results going back decades, please share it with us. because, i feel that it is not a drought when u lose for 1 year. it was the first time in 19 years that Vs did not win at least 1 of the 2 titles in 2007.
if this is a drought, what about those who win only once in many years? thanks alot. i hope i’m not asking alot. 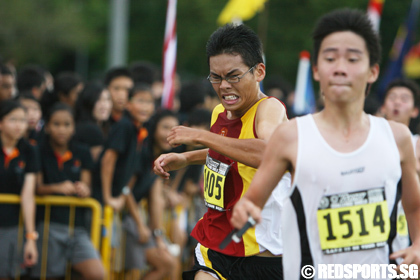 Are there results for C Div individual? I’m sure there are. Just that we don’t have it. Thanks but you did not indicate the photo number. I presume you are referring to the girl from RJC? 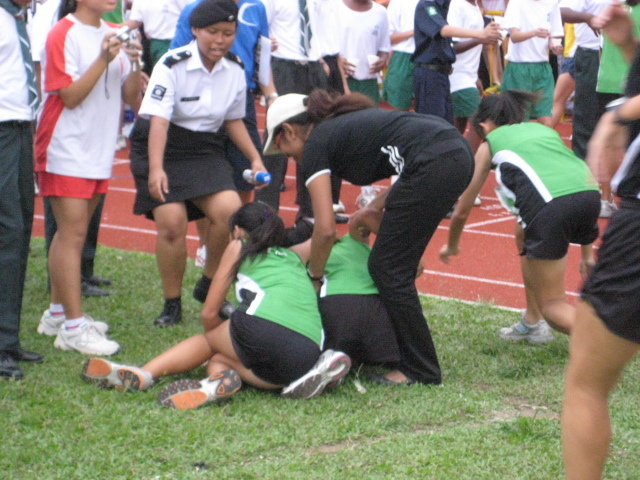 is there the results for c div individual?